Nico's teammate Josh Green is also set to put out his top 5 or 6 teams this upcoming week. It's been said that they want to continue playing together, so Green's list should tell us a lot. I was reading on 247 site based on what I read I fill good about him coming to arizona if sean miller changes to guard oriented offense an uptempo style he mentioned how that is his style of play an he mentioned about relationship with coaches plus good players imagine how josh green could impact that. I think it’s a great sign that he went down to 4 schools. He could take up to 5 official visits... so he could’ve cut it down to 5+Arizona (having visited AZ several times already). I bet it’s a Duke vs. Arizona game at this time. A little worrisome that Duke was listed first in the edit. I was defiantly more comfortable with arizona having all of pics. He has set 3 visits: Marquette Oct 5-8, Nova 11-13 and Zona 19-21. He also will attend red/blue game. No duke yet. 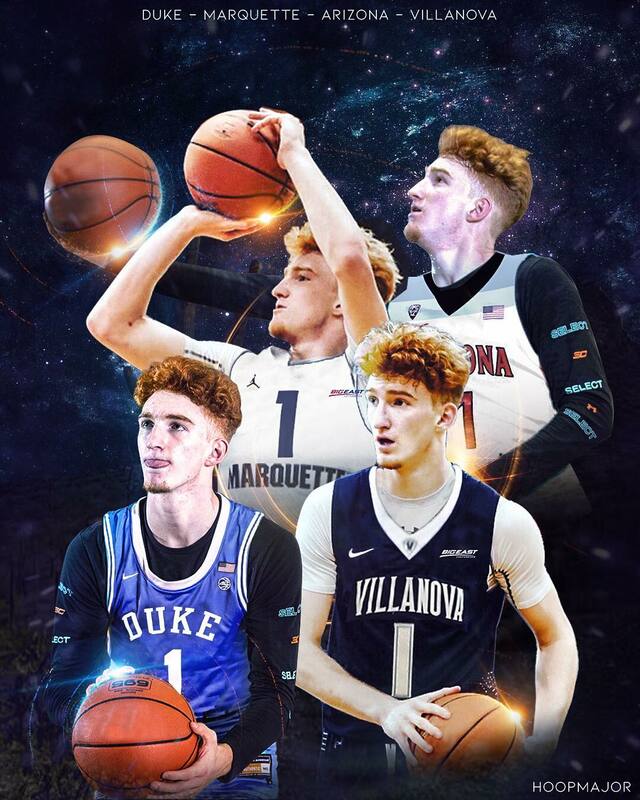 "DiVincenzo had red hair. Look at him now." Nico reminds me more of Budinger anyway.